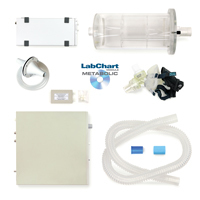 Thank you for your interest in Respiratory Flow Heads. Please complete and submit the form below and an ADInstruments representative will aim to get in touch within one working day. If you’d like to speak to someone immediately, office contact information is available from the contact page. 1000 L/min respiratory flowhead suitable for use on adults during exercise or for lung function tests including hard breathing or exercise testing. The head is constructed from ABS plastic and weighs 260 g.
10 L/min respiratory flow head suitable for use with rabbits or other similar sized animals. The head is constructed from acetal plastic and weighs approximately 22 g.
1 L/min respiratory flow head suitable for use with rats and mice. 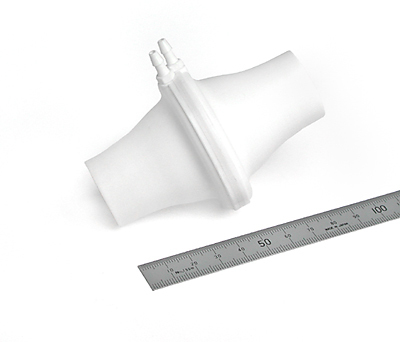 The head is constructed from acetal plastic and weighs approximately 14 g.
300 L/min respiratory flowhead suitable for use with adults at rest and for certain lung function tests at constant breathing rates. 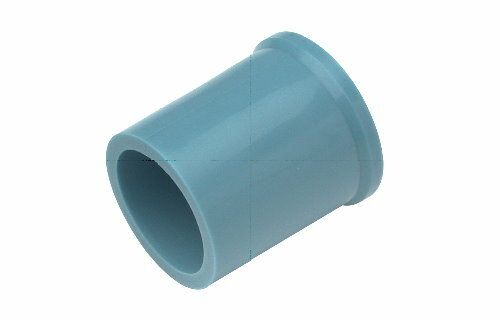 The head is injection moulded in ABS plastic, comes as a complete single unit and weighs approximately 37 g.
Suitable for use in a wide variety of animals (rodents, small animals and humans) in resting or exercising conditions. 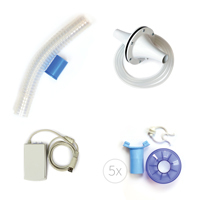 A variety of Respiratory Flow Heads suitable for use in a wide variety of animals (rodents, small animals and humans) in resting or exercising conditions. 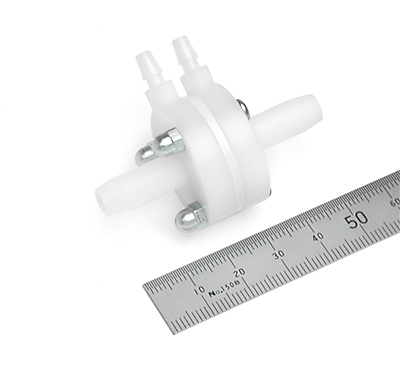 1L and 10L Flow Heads are supplied with tubing for connection to the Spirometer. 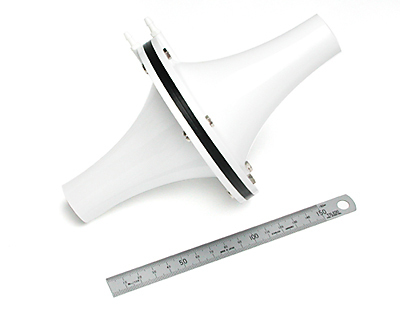 300L and 1000L Flow Heads are supplied with tubing for connection to the Spirometer or Spirometer Pod. Laminar airflow through the mesh produces a pressure differential which is linearly proportional to the velocity. Fine gauze mesh rapidly equilibrates in temperature with the air to reduce problems of condensation. Rugged design allows washing and cold-sterilization techniques to be used for cleaning.